We thoroughly enjoyed our stay at Edgewater Resort and Spa. The sunsets were magnificent. The staff was friendly and extremely helpful. The food was superb. Will definitely recommend it to friends and family, and will return soon. A great relaxing holiday. Everything at the resort one could wish for. We were very impressed with Edgewater. Even though we were in the older part of the complex the rooms were all very clean and comfortable. The staff were all very friendly and nothing was a problem to them. There was plenty of entertainment if one so required which was suitable for all ages. The food was all very tasty and well presented and a good value. The gardens gave the resort a great tropical atmosphere. Our 3 Bed Villa was fantastic , we didn't want to leave. Had everything we needed and felt very comfortable along with the beautiful beachfront view and stunning sunsets. I would like to say, I had a fantastic time, the staff was excellent, everything was so easy sign in sign out no hassles. Loved the place, warm friendly atmosphere once you had been there a few days. Welcome was bit cold and unorganizeded but warmed as you got to know them, unfortunately the bed was really uncomfortable which created back issues but all in all wonderful holiday. We found the Cook Islands a fantastic family holiday destination. The cost of doing activities on the Island is expensive but the quality of the experiences that you have and the efforts the staff go to to make sure you are having a good time is great. Clean modern rooms with a fantastic view and only meters from the beach. The resort has a number of dining options to cater for all needs. 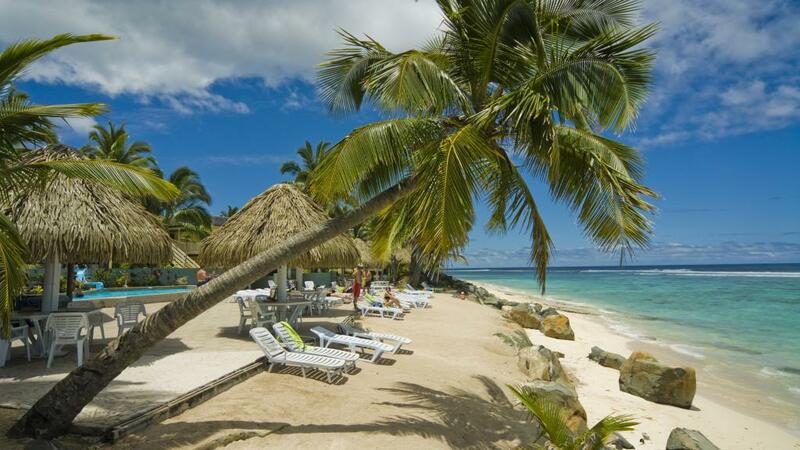 Complimentary snorkelling equipment, daily lessons and activities all included. Do as much or as little as you want. We stayed in a 3 bedroom villa for 3 nights and thought it was pefect - with a full kitchen it gave us the option of cooking for ourselves as well as eating out. Plus of course you get plenty of space with a seperate dining and living area, and two bathrooms - really good for large families that want space and don't want to have two hotel rooms.